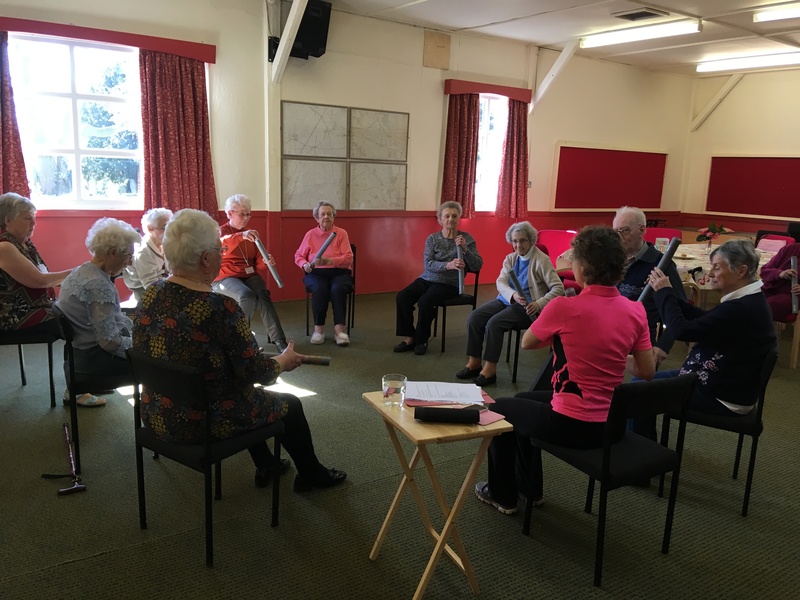 Helsby OPAL club meets every Thursday from 10 am to 3 pm at Alvanley Village Hall, Church Way, Alvanley, WA6 9BZ. 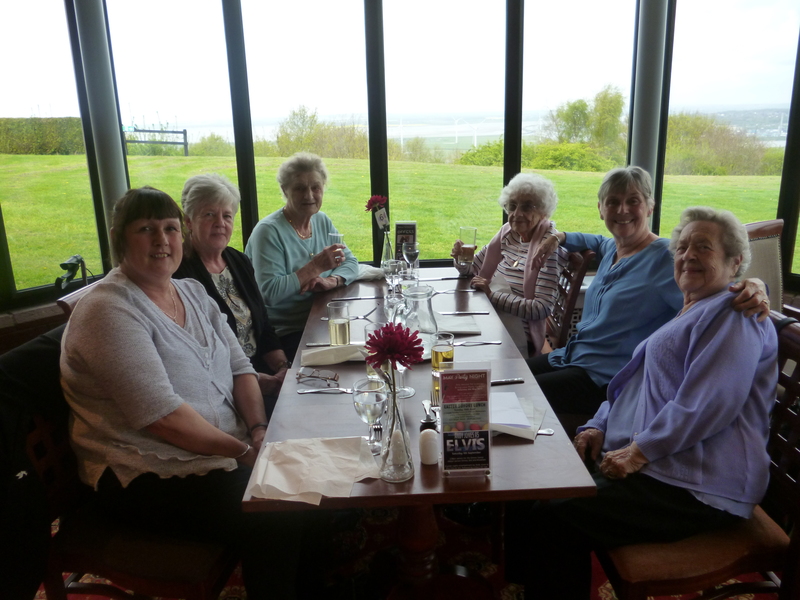 The club caters for men and women from Helsby and the surrounding areas who welcome a chance to get out of their own surroundings and spend time with other people, making new friends, enjoying a varied programme of activities and sharing a hot, two course lunch that is cooked on the premises. 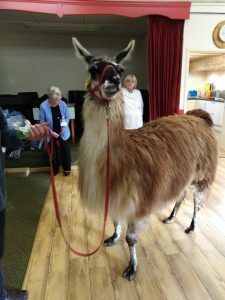 Members can be picked up and taken home by one of our volunteer drivers or by the Dial-a-Ride bus service, or they can make their own arrangements. 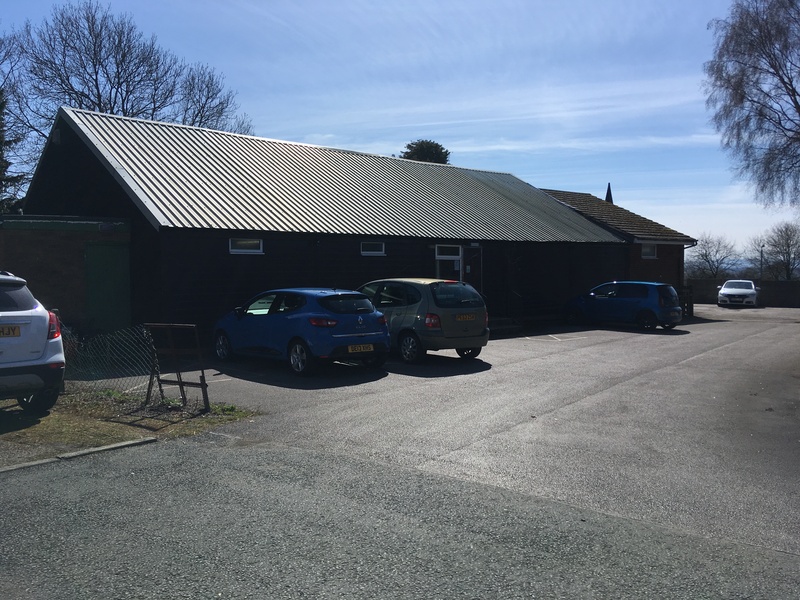 The club could not run without the help of dedicated volunteers who come to help on a regular basis, usually fortnightly or monthly for all or part of the day – whatever suits their own lifestyle. 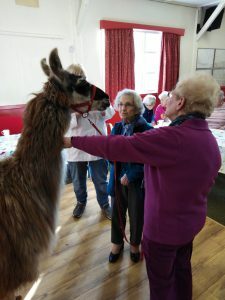 Volunteers spend their time in a variety of ways helping members, both at club and when we go out for visits or trips. 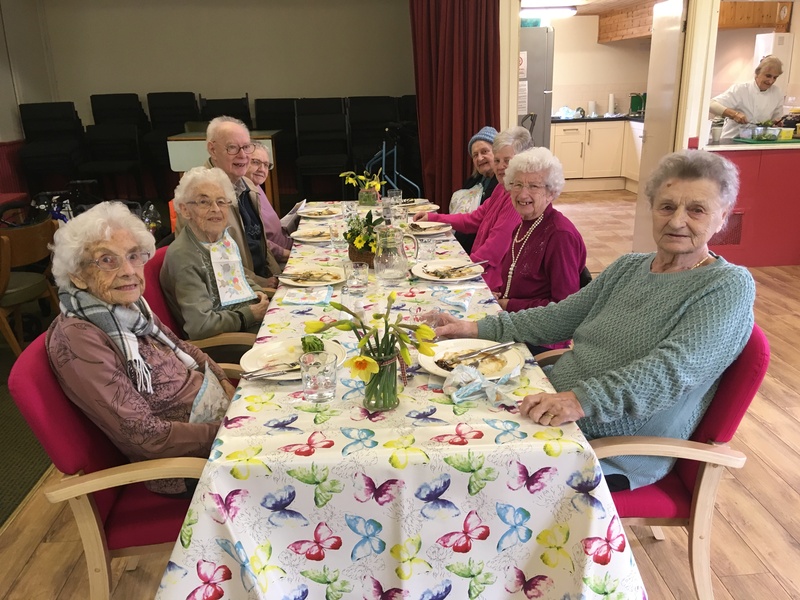 Some cook and serve the meals, others plan and organise the activities with active support from the members, all enjoy the fun, friendship and family atmosphere. It closes for two weeks for Christmas and New Year holidays. 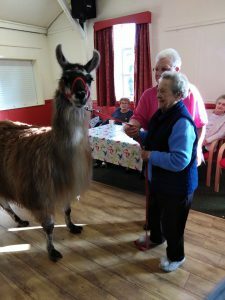 15th November: A memorable afternoon with a visit from Jack the llama and his owner Richard. 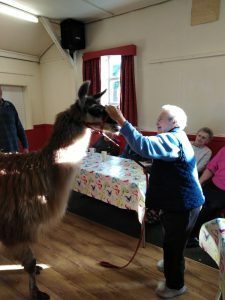 Jack was extremely gentle and gave little hums of contentment when the Helsby members got up and stroked him – blowing onto his face to show friendship. He was a real pleasure. 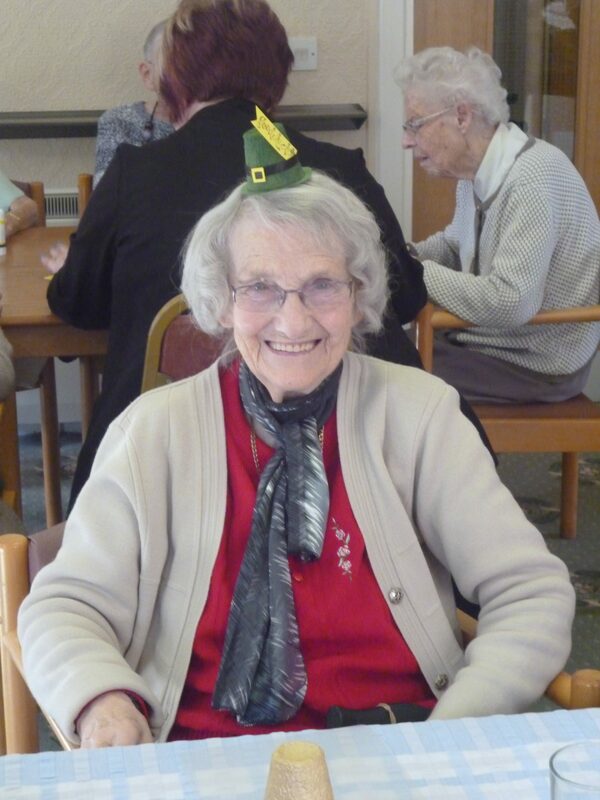 Dorothy York modelling a hat she made to celebrate St Patrick’s Day. 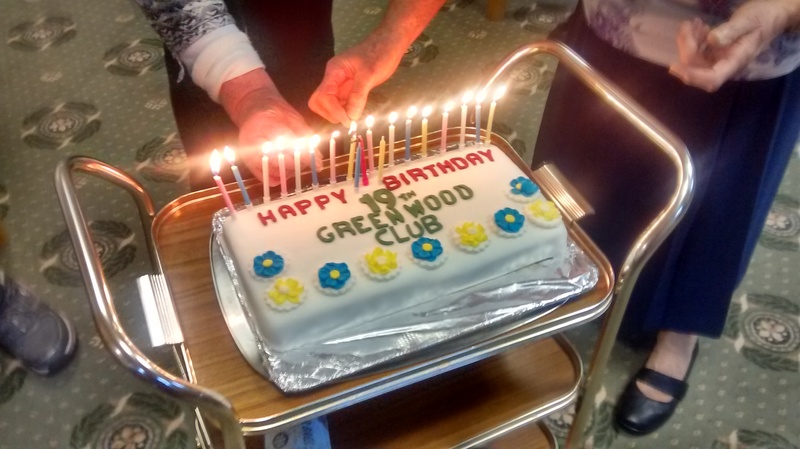 Members also made pots of gold. 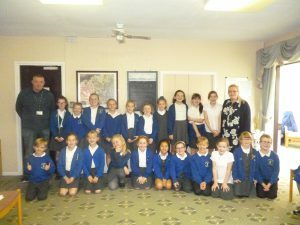 In October 2016, Hillside School Choir came to Springfield’s to sing harvest songs and a medley of pop songs from their recent concert. 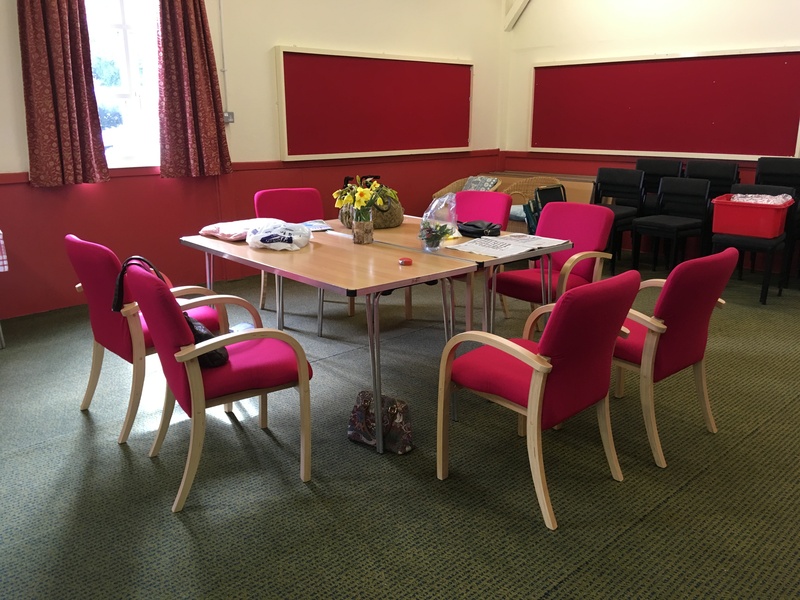 If you, or someone you know, wishes to find out more, please contact our Organiser for details of how you can get become a member, a volunteer or just an interested friend.